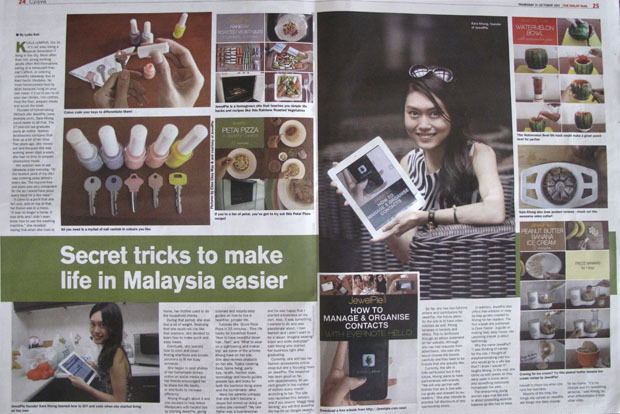 JewelPie was featured in a double-page centre spread in The Malay Mail. If you have a copy of yesterday’s paper, flip to page 24. 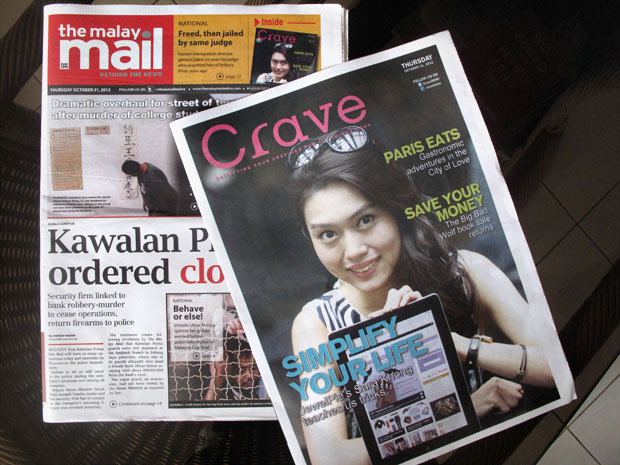 It’s in Crave, a weekly food supplement in the Malay Mail. Even better, read it on The Malay Mail Online. 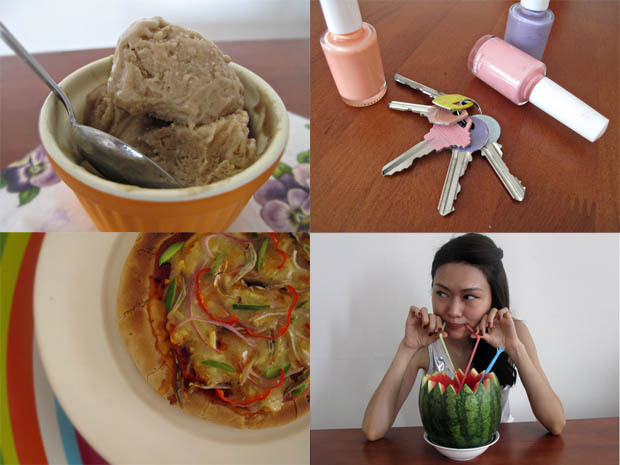 You don’t need an ice-cream maker or a lot of time to make ice-cream. We like to use the shell of the watermelon as a bowl. It’s pretty and you don’t have to wash a jug! Have a nail polish which colour you don’t fancy? Paint it on your keys! It allows you to differentiate one key from another. We’ve created this pizza using Malaysian’s favourite ingredients such as ikan bilis, petai, chillies and onions. While we do review home products, the ‘onion cutter’ is actually just a regular apple corer. You can use it to cut things like onions and pears! You can download our free e-book here. We have COOK FASTER and will be coming up with HOW TO MANAGE & ORGANISE CONTACTS with Evernote Hello very soon! We are always eager to hear what you have to say, good or bad. Say hi to us at [email protected]!